Just yesterday we had found a leaked handset by Sony codenamed as MT27i ‘Pepper’, well Sony has officially announced the handset and has named it as the Xperia Sola. Just like the previous Xperia NXT devices, it will run on Android 2.3 Gingerbread, but will be receiving an ICS upgrade in the near future. Features of the smartphone include a 3.7 inch 854 x 480 TFT LCD display with Sony’s Reality Display, 8GB of built-in storage, a 5-megapixel camera with 720p video support, NFC, WiFi, Bluetooth, aGPS, DLNA and USB tethering support, FM radio with RDS, 3.5mm audio jack, a dual-core 1GHz NovaThor processor by ST-Ericsson with 512MB of RAM. 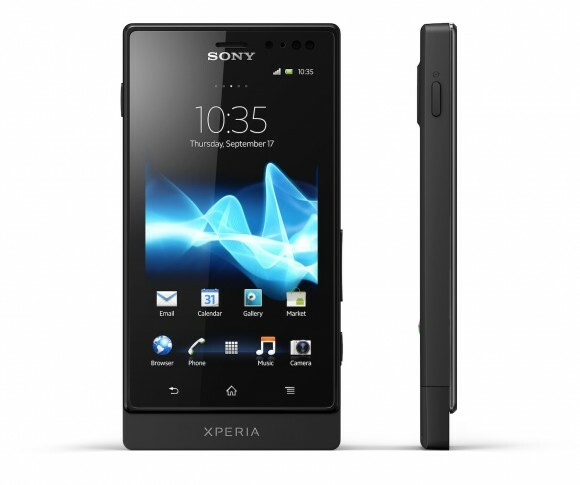 So basically it should fall between the Xperia U and the Xperia P smartphones. The smartphone also introduces Sony’s “floating touch” navigation system which allows users to navigate webpages by hovering their finger over the display, with links highlighting as if hovered over by a mouse pointer. Sounds pretty neat! The smartphone will come in red, white, and black color options and will go on sale Europe in Q2 2012. No official statement on pricing, but we expect the handset to fall around 300-400 Euros.